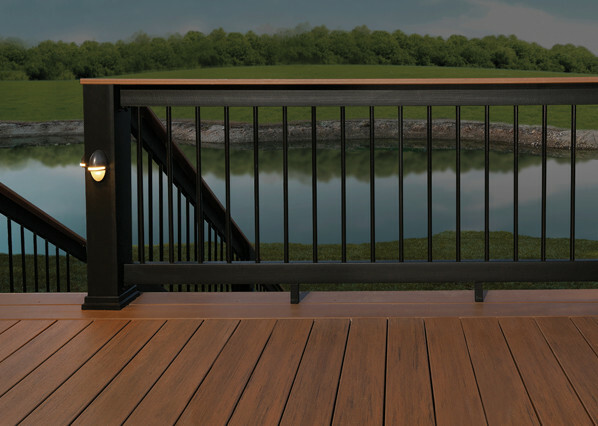 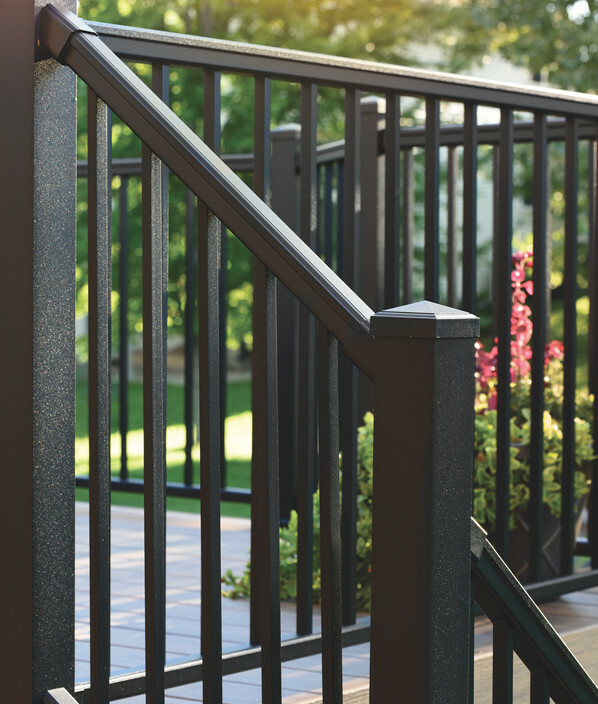 TimberTech® capped wood composite and aluminum railing is as strong as our decks–and as stunning. 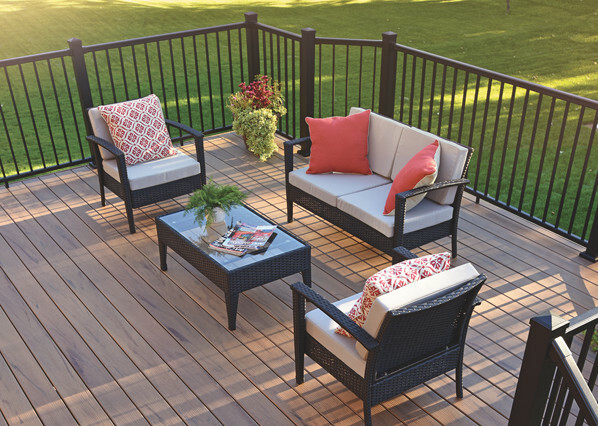 Select the profile, color, and infill that fits your style, and you're one step closer to enjoying your long-lasting, low-maintenance outdoor living space. 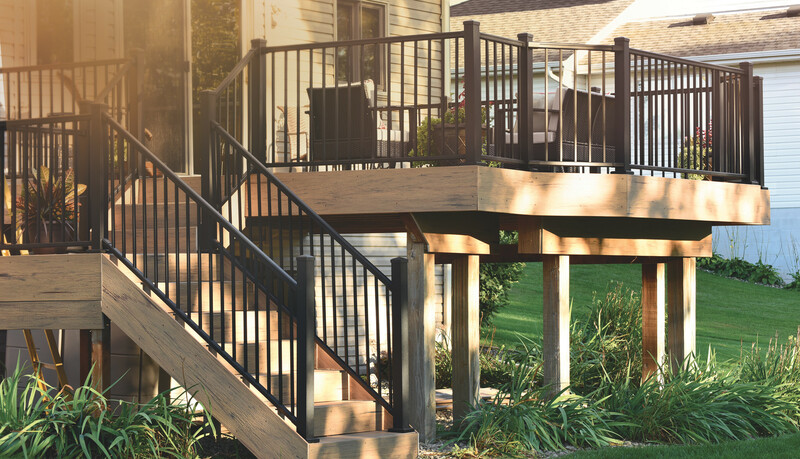 With smooth lines, no visible hardware, and a traditional profile, RadianceRail is TimberTech's most sought-after railing collection. 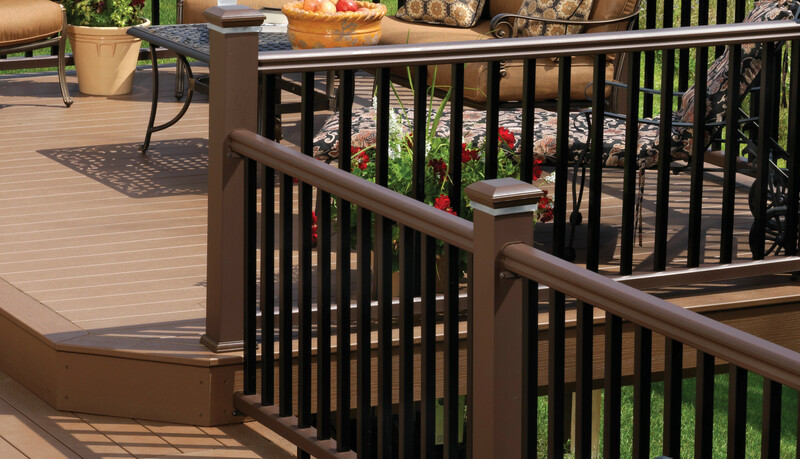 Choose from our largest collection of colors and infills for a truly customizable rail system. 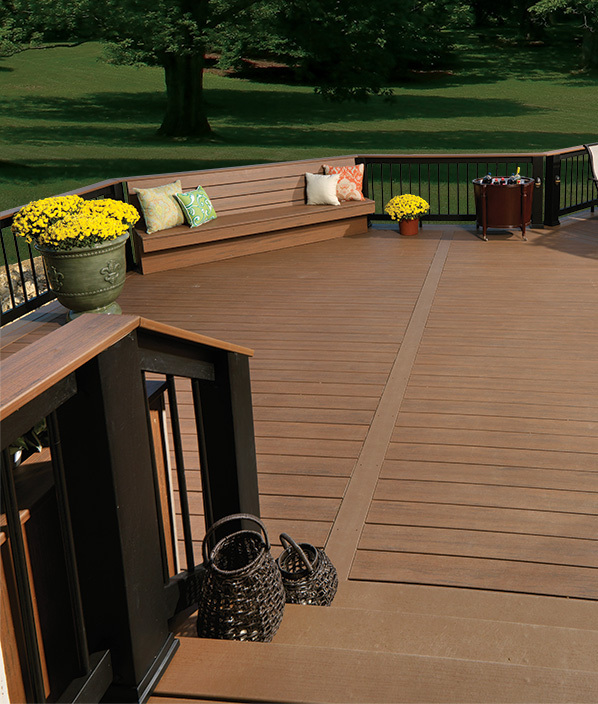 Enjoy the look of RadianceRail with a quick, intuitive installation and affordable price. 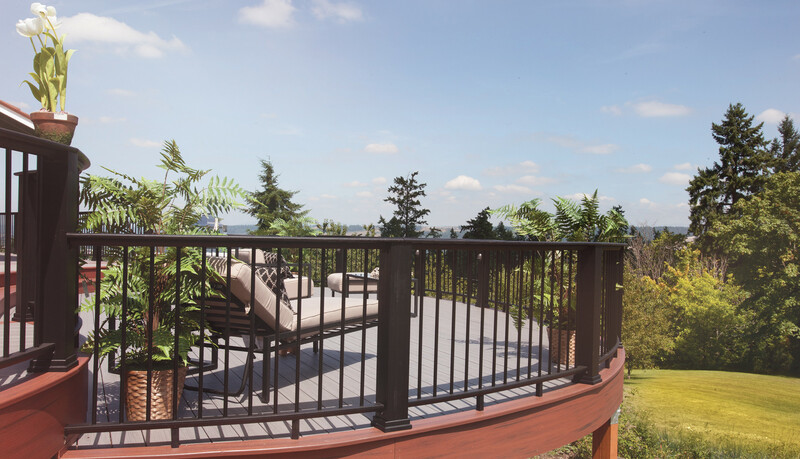 Made from similar material, RadianceRail Express combines durability and strength for a consumer in search of a higher performing option than a wood or vinyl railing. 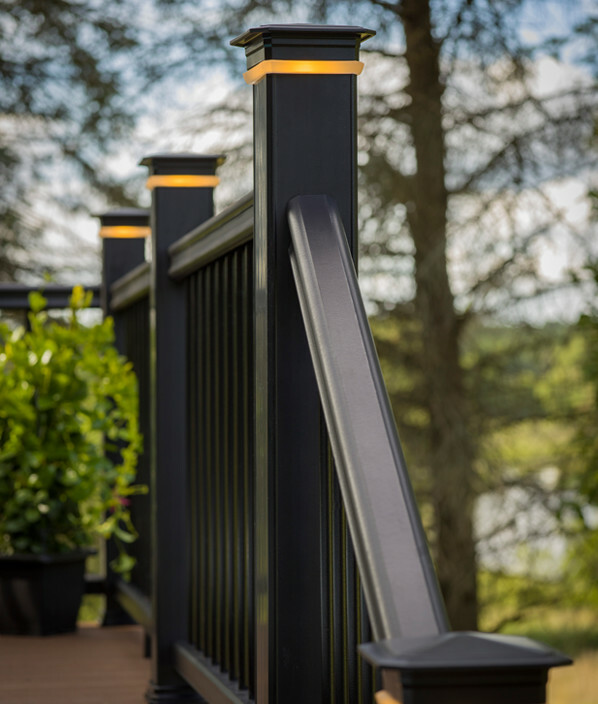 Featuring a continuous top rail uninterrupted by posts, Evolutions Rail Contemporary provides a sleek, modern aesthetic. 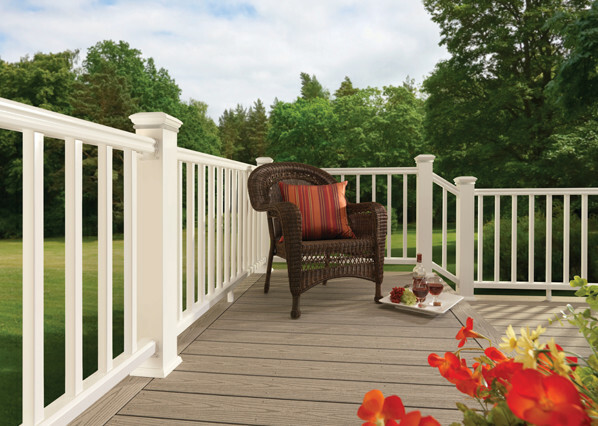 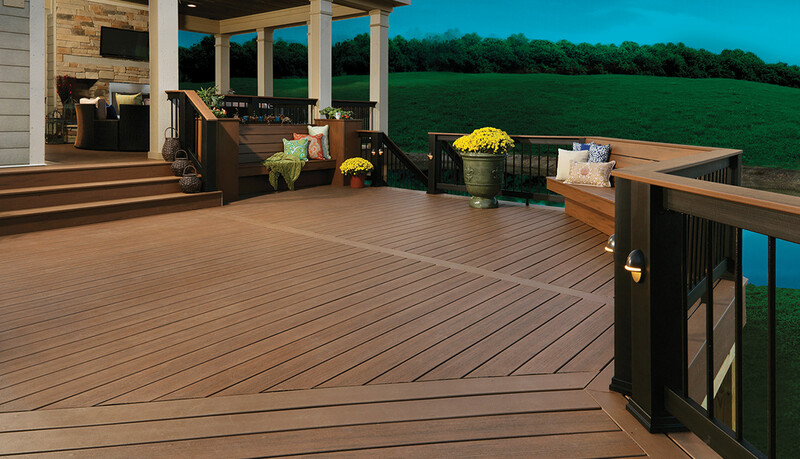 Choose from three rich colors and a collection of dramatic infill options for an awe-inspiring frame around your deck. 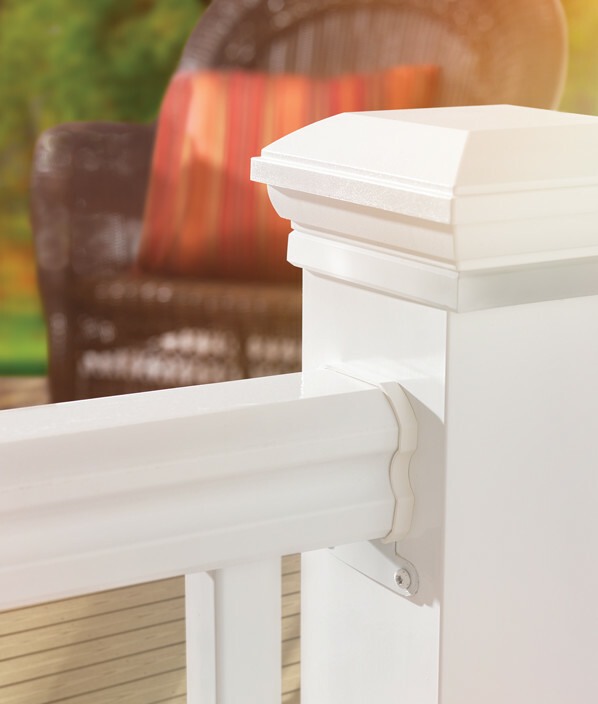 Achieve the crisp, clean look of Evolutions Rail with the robust Evolutions Rail Builder. 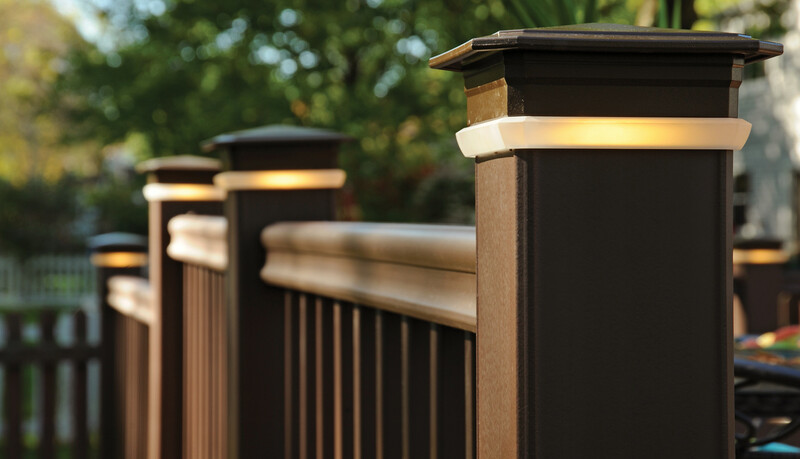 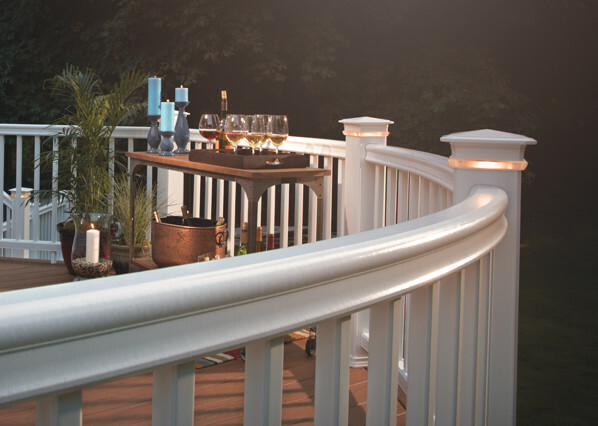 Add metal balusters and customize your look by topping your rail with any of TimberTech's deck boards, creating a perfect surface to rest coffee mugs or cocktail glasses. 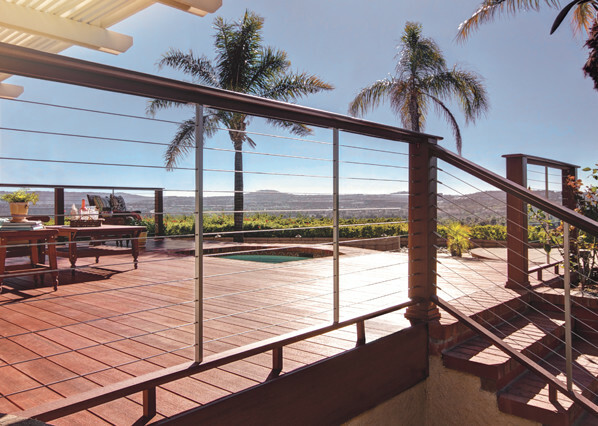 Impression Rail is an aluminum railing system that gives you the look and feel of high-end wrought iron at an affordable price point with easy installation. 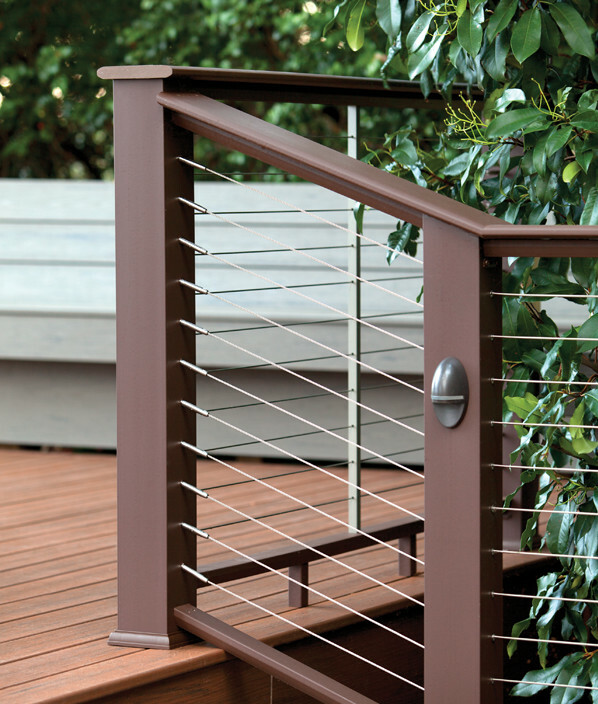 It's lightweight, low maintenance, and leaves the natural beauty of the outdoors unobstructed.